I can’t be, so let’s just skip it this time. 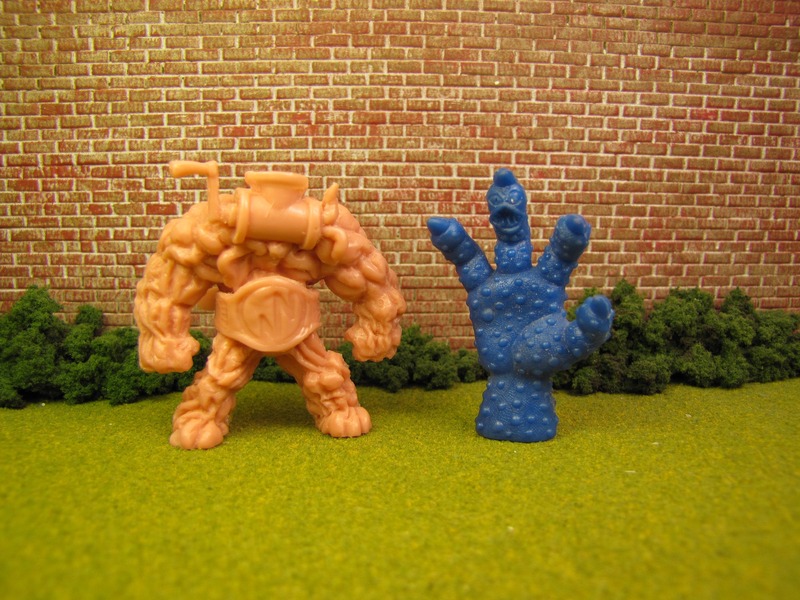 I hate “the Claw” and I hate when people stick a key chain in a M.U.S.C.L.E. and try to sell it. I hate these things because they are tired. They took things that were fine, but figured out a way to drive it into the ground and turn it into something I despise. A third version of the Meatgrinder should cause the same reaction, but it doesn’t. 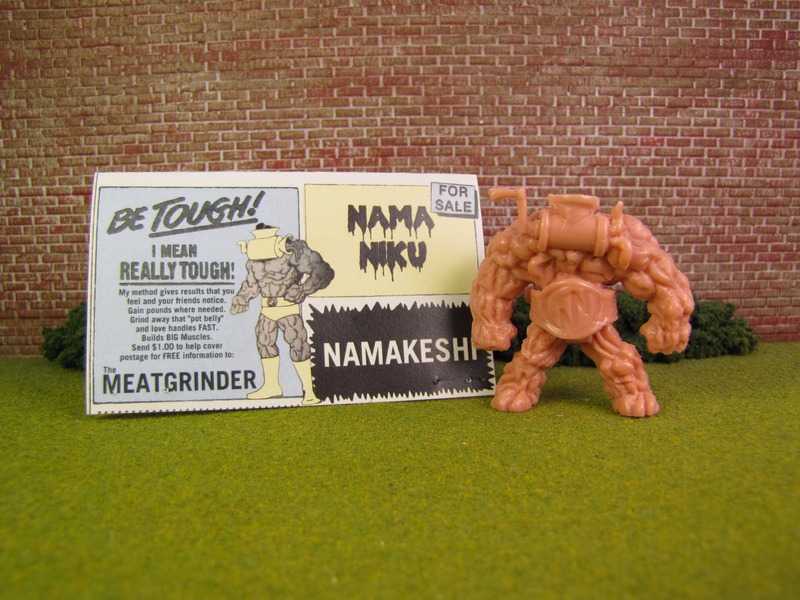 After two previous versions (which both received glowing reviews) the Meatgrinder should be tired and played out – a once good idea that has been used too many times. This figure proves that idea 100% false. Is it the best ever? It’s hard to find a challenger. I have spent a lot of time trying to put my figure on why this figure works so well. There is some easy to appreciate stuff: (1) hyper creative card art – especially the back; (2) the overall quality of the sculpt – material, detail, color, etc. ; (3) the size – it’s heartier than you expect; (4) the removable belt; and (5) the group of guys that worked on it. I don’t mean to dismiss those things. It’s important, maybe even critical, to the success of this figure. But there has to be something else. 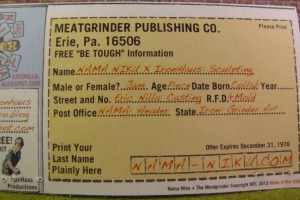 It dawned on me when I went back and read my review of the first two Meatgrinders. And that’s when it dawned on me. This figure took a direction I couldn’t imagine and didn’t think would work, and then proved me wrong. 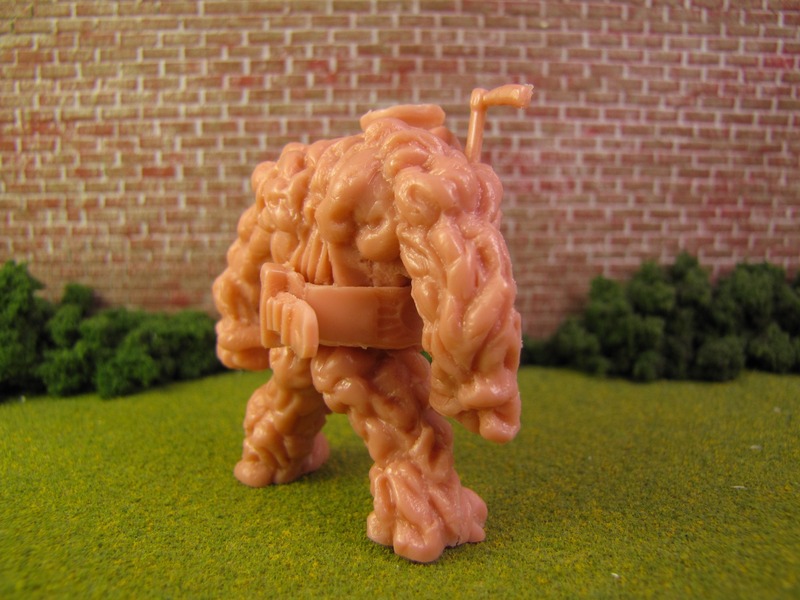 When I look at custom M.U.S.C.L.E. figures I often think whether the figure would fit into the line. 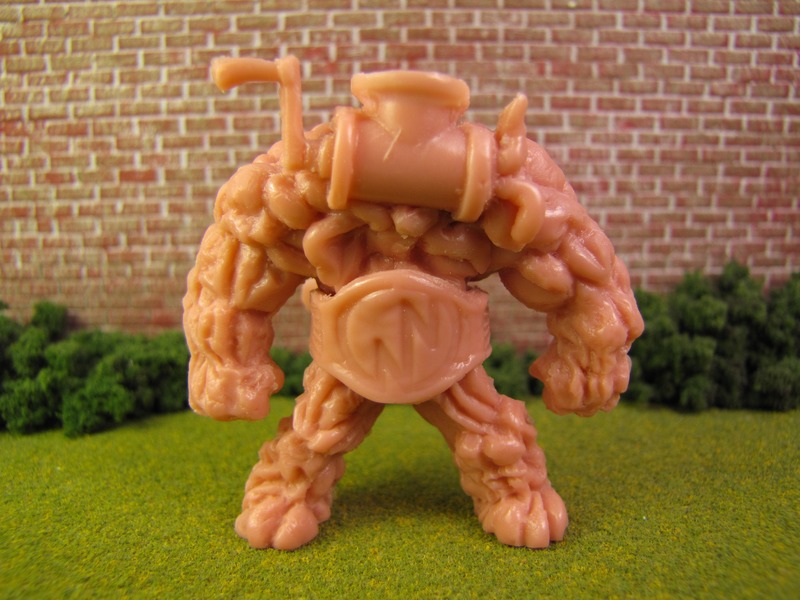 I feel like there is a hard to describe M.U.S.C.L.E.-character-quality. 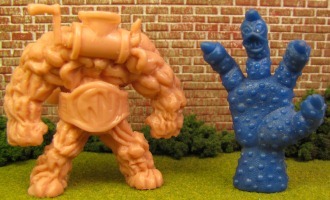 I thought grinding up another M.U.S.C.L.E. figure put the Meatgrinder right on the edge of that line. The new Meatgrinder goes over that line – and here is where I feel that the real magic unfolds. 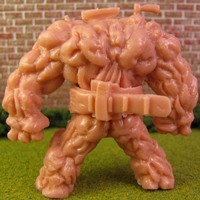 The sculpt of this figure isn’t scary or overly gross. 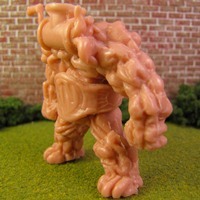 Somehow the sculpt elicits imagination. 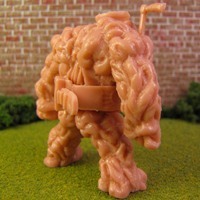 It makes you understand the ground up M.U.S.C.L.E. flesh, but allows you to inject your own story. 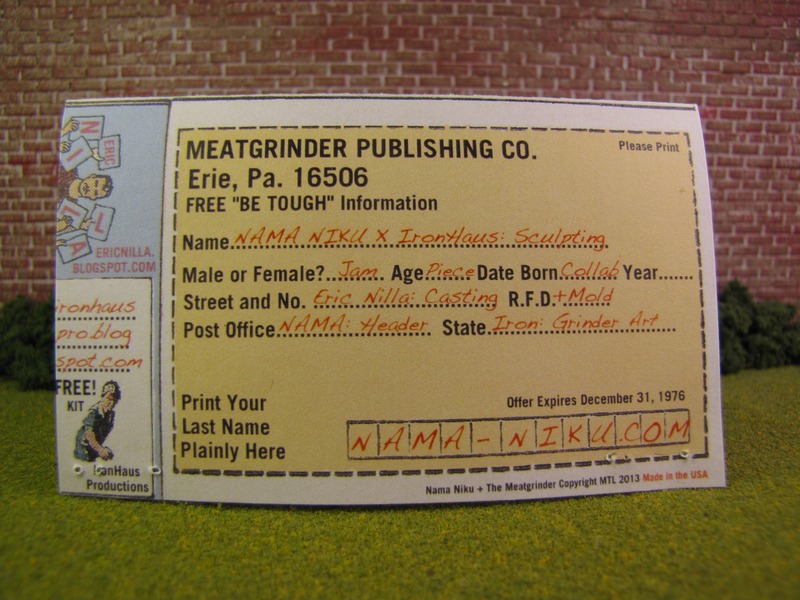 The new Meatgrinder makes you feel something – the hallmark of memorable and important art. 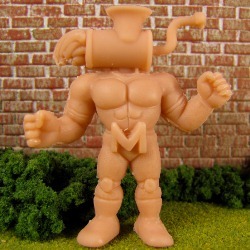 Perhaps the Meatgrinder is an evil villain, destroying everyone that gets in his way. Maybe. That’s not what I saw. I see the meat getting its revenge. 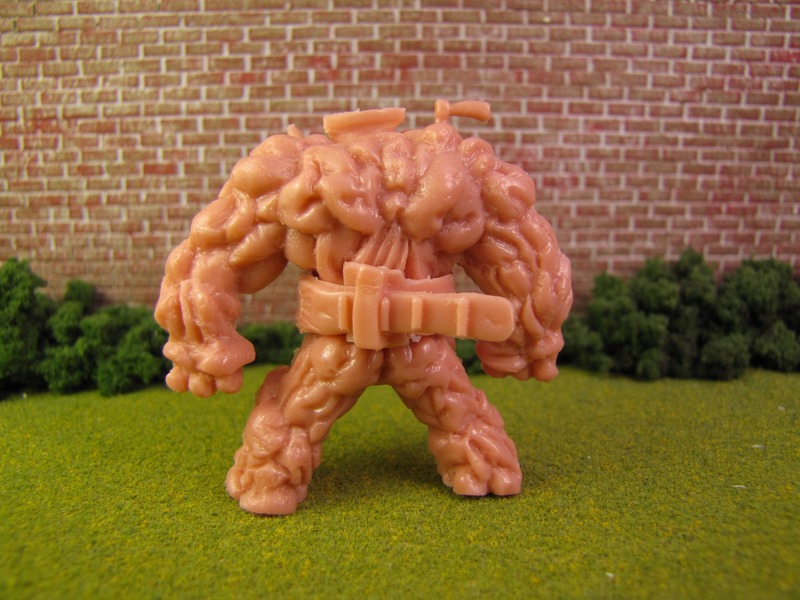 The original Meatgrinder has destroyed so many figures that “meat” is everywhere. The meat is fighting back and taking over. The second magical piece is another felling this figure elicited from me. 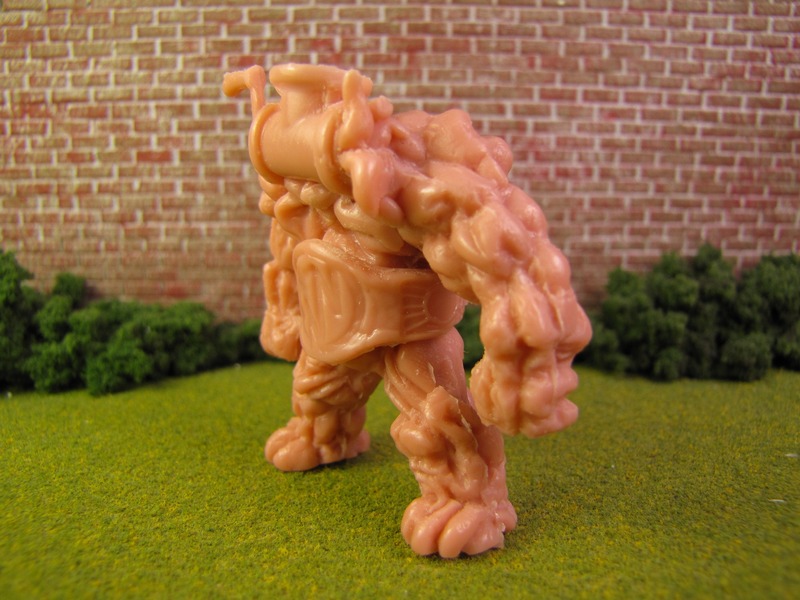 It’s the first time I felt like this could be a new wave, or boss/big figure for the M.U.S.C.L.E. line of figures. This feel like what Mattel could have done to keep the brand alive (if they had wanted to do that). 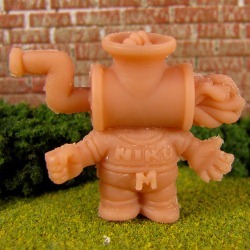 We’ve seen other mini-figures inspired by M.U.S.C.L.E., but this felt like a real extension. And for that, I offer Tyler, Eric, and Jimmy a huge thank you. 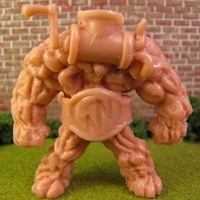 I thank you as an adult collector, and far more importantly, I thank you as a child picking up his first new M.U.S.C.L.E. in over 20 years. There’s still a tiny piece of a happy, carefree little kid hidden in me and this awoke him and plastered a hard-to-remove smile on his face. Thank you. This entry was posted on Wednesday, June 25th, 2014 and is filed under Art, UofM News. You can follow any responses to this entry through RSS 2.0. You can skip to the end and leave a response. Pinging is currently not allowed.